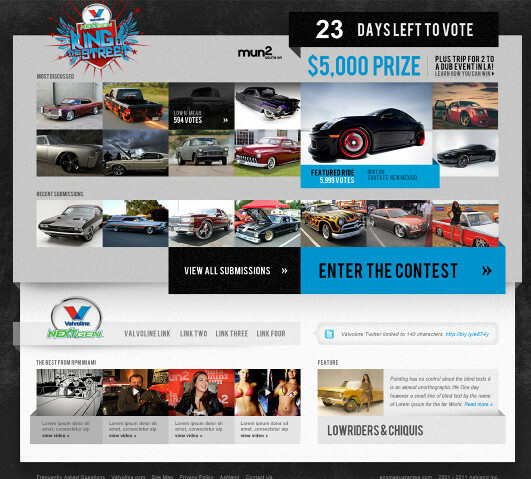 As the NBC Spanglish language channel Mun2 (now NBCUniverso) was launching a new car-customization show with Valvoline as the principal sponsor, Mr. Grullon was called upon to bring his influence and insight to the ambitious project. 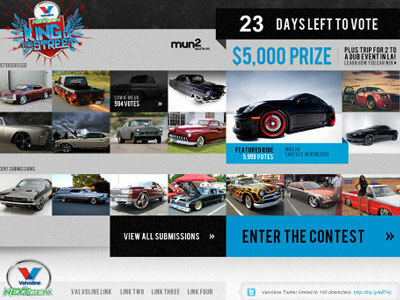 It was there that Mr. Grullon designed a contest website where contestants could submit photos of their car and the community would vote through several rounds to determine the winner. The platform featured an ad-hoc auditing system to verify all voting and detect inconsistencies.